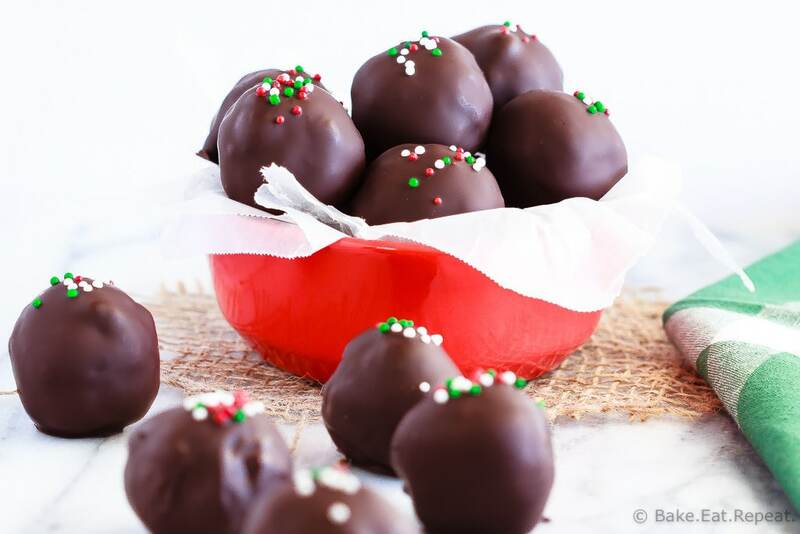 Rich, delicious, peppermint brownie truffles – a homemade peppermint patty filling surrounding by rich brownie crumbles and coated in chocolate! More peppermint and chocolate stuff today. I did say that I have an over abundance of recipes involving that combination. I’m not actually a giant fan of the typical truffles made from melted chocolate and cream (and whatever other flavour you’re involving in them). I’m not sure why, too sweet maybe? Although these peppermint brownie truffles are pretty stinking rich (and sweet) themselves, and I loved them, so that can’t be it. I think it’s the texture. Although I love all kinds of chocolate and there’s nothing weird about the texture of truffles, but….I don’t really love them. Even I think that’s kind of strange. Maybe I’m just not very good at making them? That could be it. You should probably all send me your beloved truffle recipes so I can find one I love too! Because clearly I don’t have enough sweets around here yet. 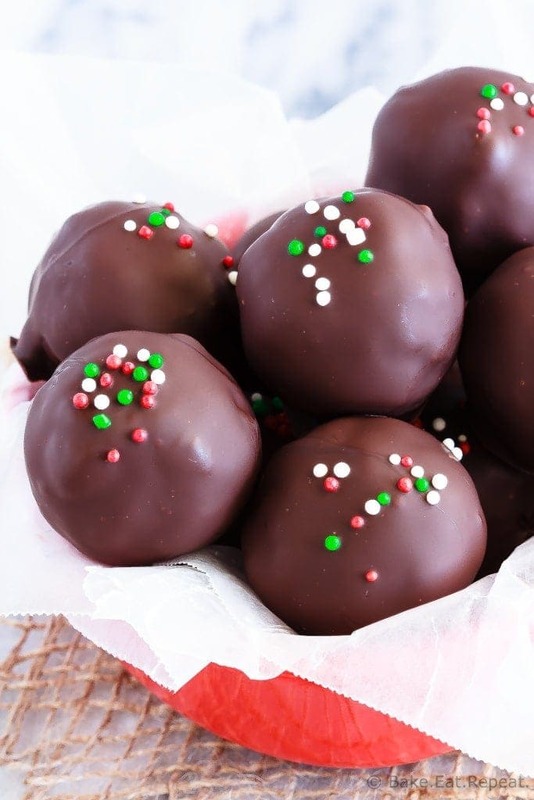 These peppermint brownie truffles – I loved. I tried a no-bake brownie version first, and while they were good (the kids raved about them), I just didn’t love them. The texture wasn’t great, so I decided that the brownie layer needed to be baked. That decision was a good one, because these peppermint brownie truffles are pretty fantastic. The (baked) brownie crumbles surround a homemade peppermint patty middle and the entire thing is coated in dark chocolate. This makes for an amazing combination. We like them cold, straight from the fridge (or freezer) for a pepperminty chocolatey treat that is rich enough you can be happy with just one. It’s not often that I’ll ay that about something involving chocolate! 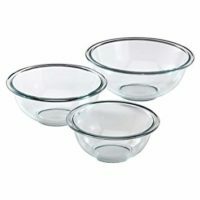 Add these to your baking list this Christmas for a special treat, or you can give them as a wonderful gift. Maybe I could be convinced to enjoy truffles after all. As long as the texture is perfect, that is. 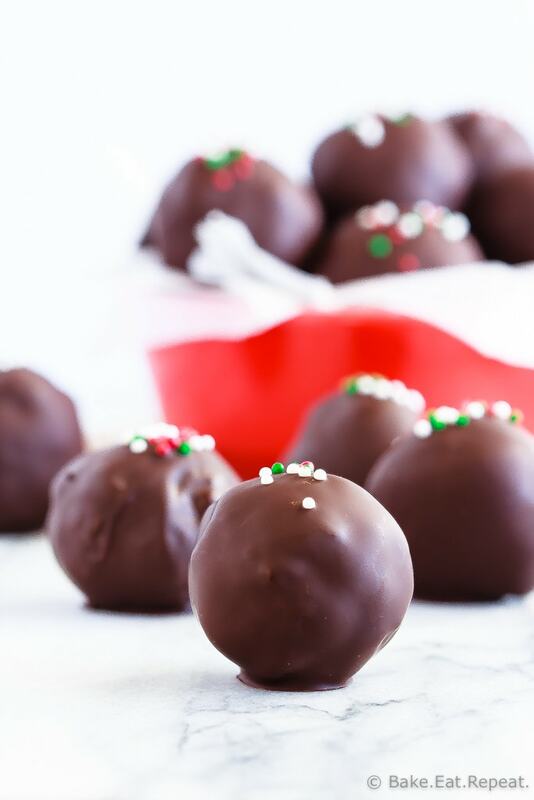 Rich, delicious, peppermint brownie truffles - a homemade peppermint patty filling surrounding by rich brownie crumbles and coated in chocolate! 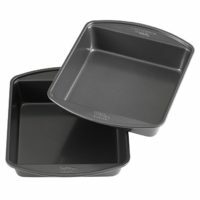 Lightly grease an 8x8 inch baking dish. 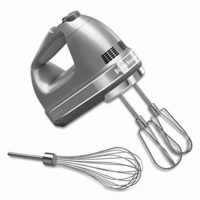 In a large bowl, or the bowl of a stand mixer, cream together the butter and sugar until light and fluffy. Add the eggs and vanilla and mix again until well combined. In a small bowl stir together the flour, cocoa powder and salt until combined and add this mixture to the wet ingredients. Mix until just combined and pour the batter into the prepared baking dish. Bake until just set in the middle, 18-20 minutes. Let the brownies cool completely. In a medium bowl, beat together the powdered sugar, milk, corn syrup, coconut oil and peppermint extract until combined. With your hands knead the dough together until it forms a smooth ball (it will look a bit powdery and like it won’t come together until you knead it a bit with your hands). Wrap this tightly in plastic wrap and refrigerate for at least 30 minutes. Divide the peppermint dough into 24 equal pieces, about 1/2 teaspoon each, and roll them into balls. Cover the dough you’re not working with with plastic wrap so it doesn’t dry out. Use a fork to scrape up the cooled brownies into crumbs. 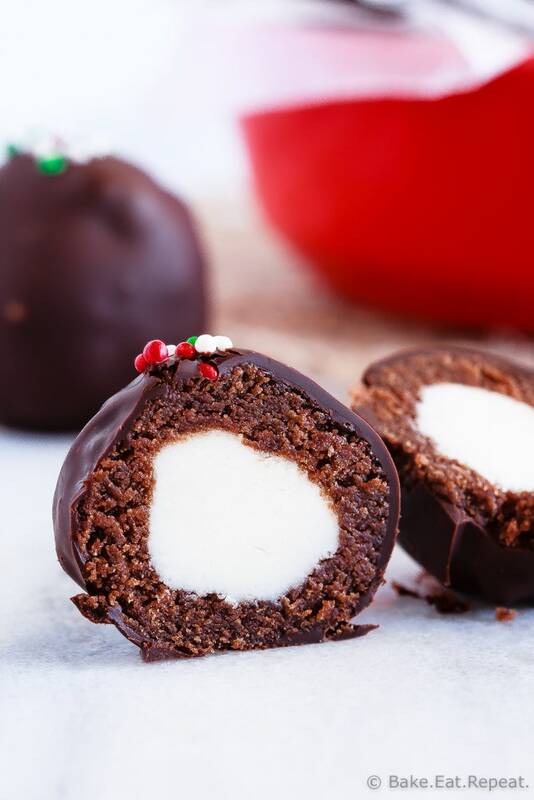 Working with about a tablespoon of brownie crumbs, press them together and form them into a ball around one of the peppermint balls with your hands. 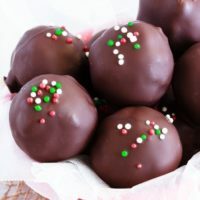 Place the truffle on a wax paper lined baking sheet and repeat with the rest of the brownie crumbs and peppermint balls. Chill for an hour, or until firm. In a small bowl, microwave the chopped chocolate on 50% power, stirring every 30 seconds, until it is almost completely melted. Continue stirring it until it is completely melted. Use a fork to dip the brownie truffles into the melted chocolate, letting the excess chocolate drip off before placing on a piece of wax paper to set. Place sprinkles on top if you like and chill to set the chocolate. Store the peppermint brownie truffles in an airtight container in the refrigerator for up to one week, or in the freezer for up to 3 months. Source: Brownies adapted from these pumpkin cheesecake swirled brownies, and the peppermint filling is adapted from Mel’s Kitchen Cafe. Okay, now these are awesome. I've never done a two layer truffle before and I have no clue why not-- double the deliciousness! !